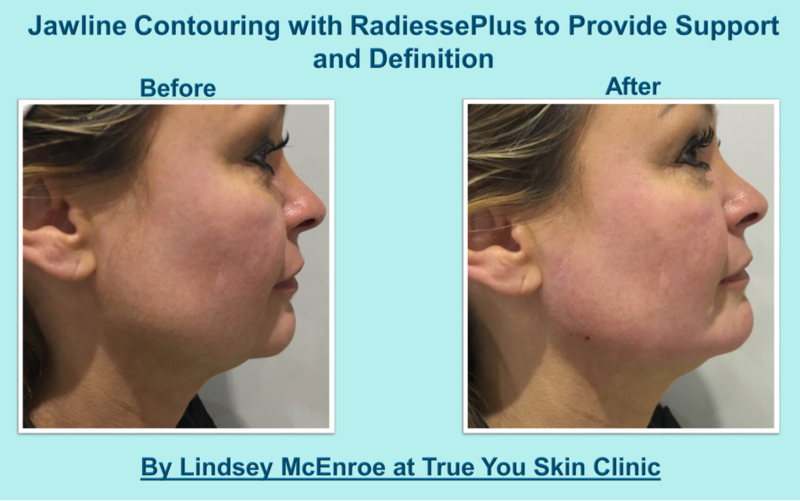 Radiesse is a dermal filler/collagen stimulator consisting of Calcium hydroxylapatite microspheres suspended in a gel carrier which consists mainly of water and glycerine. RadiesseTM is highly biocompatible. Calcium hydroxylapatite is the main mineral component of bone and teeth, which consists of calcium and phosphate ions that occur naturally in the body. FDA approved in 2006. 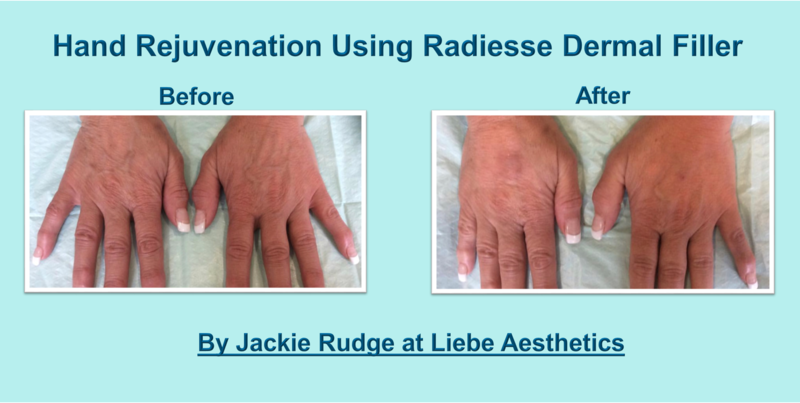 Radiesse is injected into the skin. The gel carrier acts as an instant filler, providing immediate correction. As the gel carrier is absorbed (within 8-12 weeks) the calcium hydroxylapatite microspheres act as a scaffold and stimulate the production of new collagen in and around them. Eventually the microspheres degrade into calcium and phosphate ions and are removed from the body in a natural process of elimination. 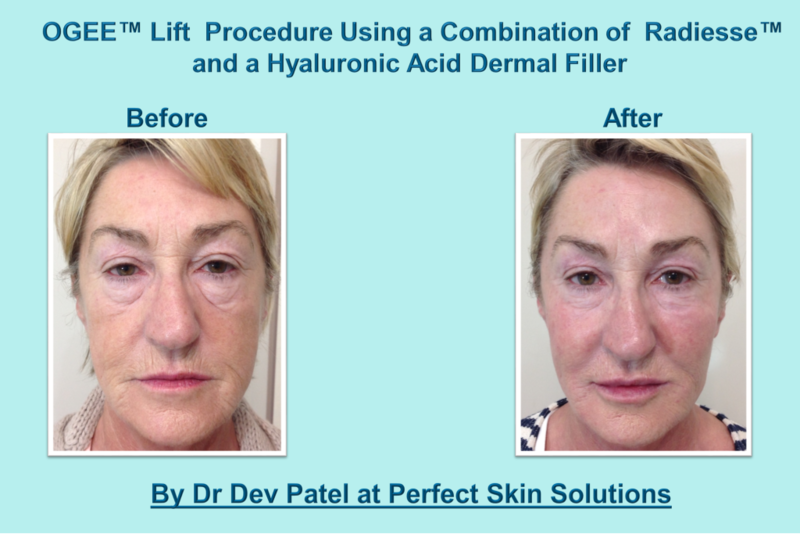 If you have previously experienced allergic reactions to any dermal filler or local anaesthetic If you are taking any medicines which affect bleeding, such as aspirin or warfarin. If you are taking steroids or have autoimmune disease. If you are pregnant or breastfeeding If you are currently or have recently completed a course of Roacutane (acne treatment) in the last 18 months. It is expected to last 9-24 months; in some cases the duration may be shorter or longer than expected. It will always degrade over time and you will return to your pre-treatment state without further treatment. All treatments carry a degree of risk. All risks and complications will be discussed with you at consultation and prior to any treatment being agreed. 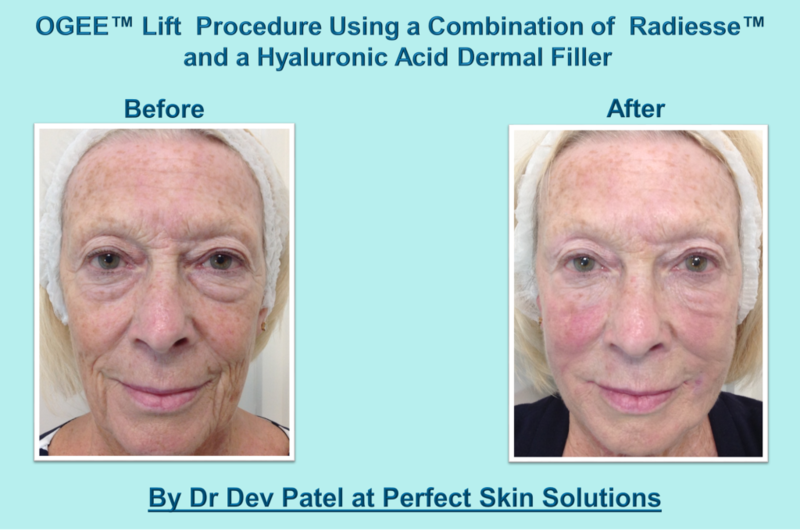 Radiesse should be administered by a healthcare professional with specialist training. The above are temporary and usually resolve within the first few days, swelling is often marked the next morning but settles within hours, bruising can take a week to 10 days to resolve and can sometimes persist for longer. Your practitioner will provide aftercare advice designed to minimise risk and promote speedy recovery from any expected side effects.